Microsoft has announced the next Xbox one gaming console. Xbox One X super spec’d and comes with everything thing right this time around, after listening to feedback. 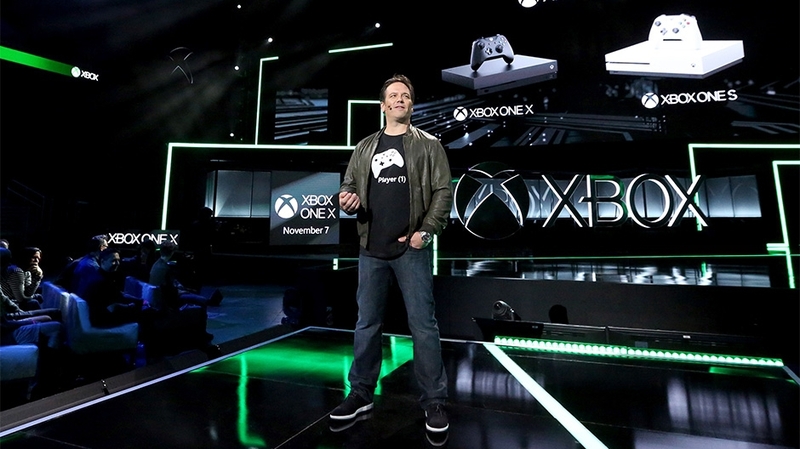 Microsoft announced a number of stuffs at the Xbox briefing of this years Electronics Entertainment Expo (E3), taking place at the Los Angeles Convention Center. Amongst such is a new console we’ve know for sometime as Xbox project Scorpio. Microsoft also showcased a record 42 games during the briefing with about 20 plus games being exclusives. Here’s a summary of the Xbox E3 2017 briefing. If you missed the briefing and will like to watch it in full or you just didn’t get enough and want to re-live the announcement. Click to watch here. There’s something you should know about the Xbox One X; It has the fastest most advanced processor to ever power a console, so it’s 40% more powerful than any other gaming console. 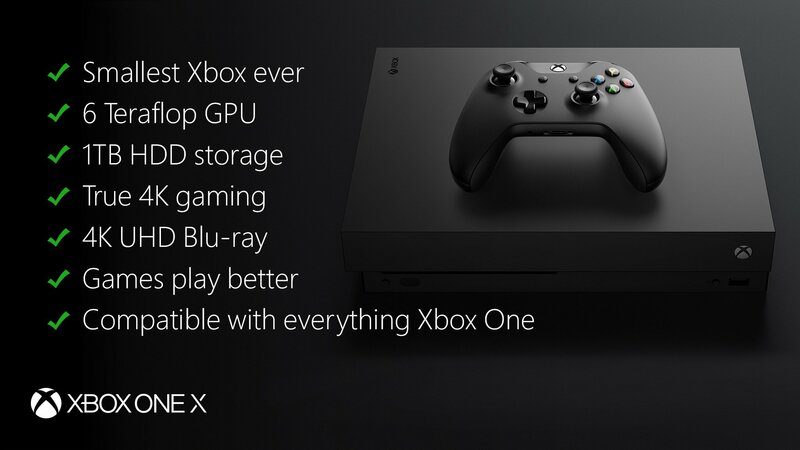 It’s compatible with all other Xbox One games, has true 4K resolution. Other cool stuff is backward compatibility is coming for over 400 games right down from Xbox 360. The console is small, yeah it’s small. If you saw the Xbox One S you’ll notice some familiarities with the design. You can place it horizontally, vertically or get a stand for it. It comes with a 4K UHD Blu-ray player with built-in power supply. It has an IR blaster and 3 USB 3.0 ports. Good news you can reuse your cables from your Xbox One S. Microsoft says the port locations are designed to be an easy plug-and-play swap in your existing gaming setup. The console can clock up to 9GB of it’s memory during gaming. The new console starts at $499 USD / 449 GBP / 499 EUR / 599 CAD/ 649 AUD and begins shipping out on November 7th. Microsoft says every Xbox One X unit will come with a 1TB hard drive, a matching Xbox Wireless Controller, HDMI cable, power supply, a 1-month free Xbox Game Pass subscription and a 14-day free Xbox Live Gold membership. The games showcased at the event will include free updates to some to leverage it’s 4K power. Xbox or Play Station fan? Tell us what you think about the new console and features. Also Some friends have been asking about the gaming community in Ghana. Are you a gamer tell us about the community where you live. Which console is the most favored by gamers, maybe share why?